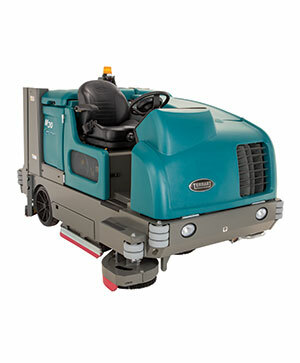 Tennant’s M30 Large Integrated Sweeper-Scrubber provides exceptional cleaning performance with features designed to maximise productivity and provide impressive results. 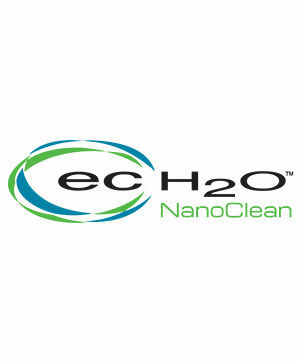 Clean up to three times longer on a single tank of water using Tennant’s innovative ec-H2O™ technology that uses up to 70% less water. Increase visibility with cab-forward design, open sight lines, and steering-wheel-mounted controls. Get superior cleaning performance from your M30 with TennantTrue® Parts that have been designed specifically to help maximise cleaning effectiveness in one pass and achieve better cleaning performance at a lower total cost. 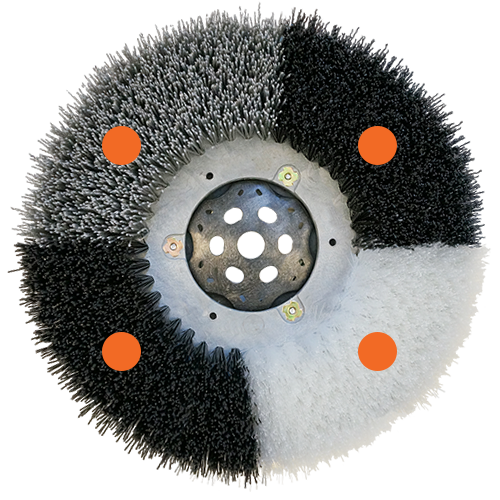 Achieve better performance while lowering costs associated with rework, labour, safety and maintenance by using genuine TennantTrue® brushes, specifically designed for your M30 machine. Don’t settle for less - choose TennantTrue® brushes! The squeegee is one of the most critical parts on your M30 Sweeper-Scrubber. Only genuine TennantTrue® squeegees are designed specifically to fit with your M30 machine to deliver exceptional liquid collection and pick-up for optimal cleaning performance. The correct fit helps reduce downtime and service calls, lowers labour costs and puts money back into your business. 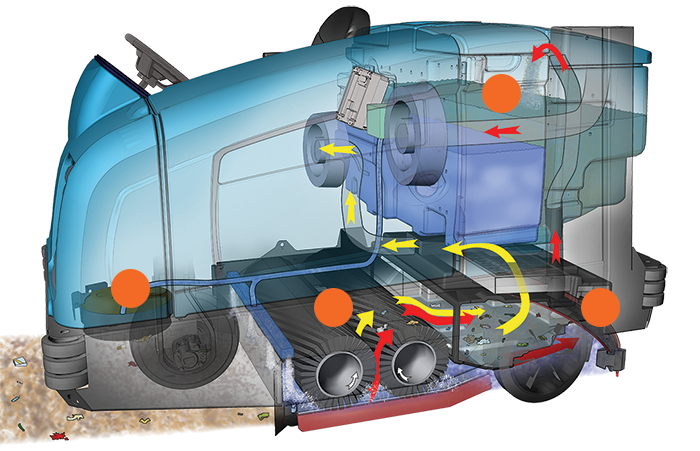 Optimal performance for your M30 depends on Planned Maintenance. Rely on Tennant’s factory-trained service network for unmatched knowledge and expertise to maintain your machine and keep downtime to a minimum. Provides 48 hour response during weekdays, maintenance and breakdown coverage, predictability of costs and helps to maximise uptime and equipment lifetime. This chart summarises the benefits for each service proposition and shows which services are included in your specific agreement. 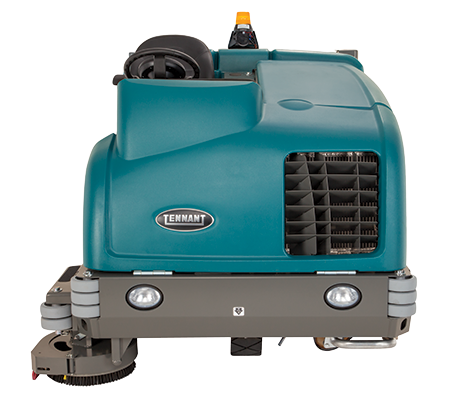 Versatile cleaning performance, innovative technologies, and quality construction reduce cost of ownership. 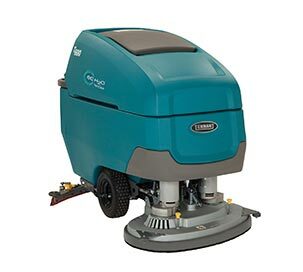 FloorSmart® integrated cleaning system technology improves productivity by combining sweeping and scrubbing functions, reducing the need for multiple machines. Scrubbing side brush increases productivity by expanding your cleaning path from 48 in / 1,220 mm up to 62 in / 1,575 mm. High-capacity, multi-level hydraulic rear hopper (7 ft³ / 199 L) eliminates the need to manually handle debris. PerformanceView™ on the optional Pro-Panel™ allows operators to view their cleaning path without having to turn around in the seat, promoting safe operation. Open sight lines, spacious operator compartment, and full front shroud ensure operator safety and comfort. Wet / dry synthetic fibre panel filter helps maintain air quality by delivering exceptional dust control during both wet and dry sweeping. 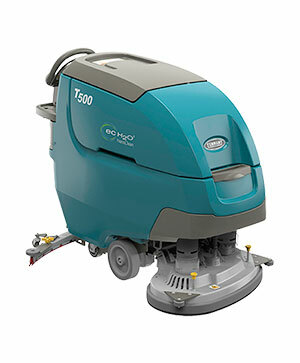 Effective sweeping and scrubbing capabilities deliver consistent cleaning results even in the toughest environments. 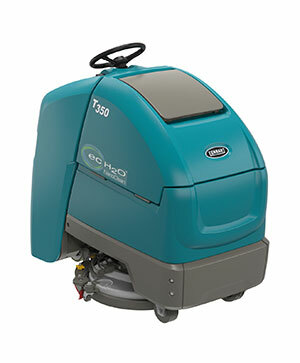 Excellent sweeping, scrubbing, water recovery, and edge-cleaning provide a total floor clean. Leave a clean path with Dura-Track™ parabolic squeegee that provides exceptional water pick up. Innovative engineering provides simplified operation and ease of maintenance. Solution and recovery tanks allow for complete visible inspection and clean-out. Optional spray hose makes machine spray-down and clean-up quick and easy.